s and these gears are attached with bur (part that performs actual cutting). 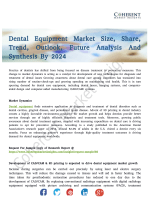 Rising prevalence of oral diseases is expected to propel growth of the electric dental hand piece market. people worldwide, with untreated tooth decay that impacts approximately 44% of world’s population. integral part of dentistry setup . ages of 35 and 44 have lost at least one permanent tooth so they opts for cosmetic dentistry. 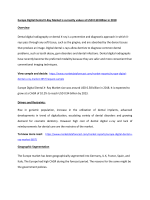 expected to be major market, owing to increasing expenditure of people in the region on oral health. America market is in transition phase from air driven to electric driven hand pieces. 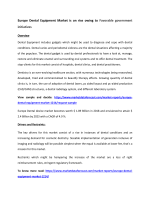 Dentsply Sirona Inc., Nakanishi Inc., Bien-Air Medical Technologies, DentalEZ Group, SciCan Ltd.